At CARE, we offer a wide variety of hoyer lifts with an assortment of features, slings and lifting capacities. 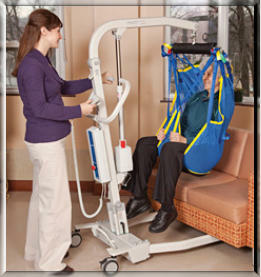 A well made, reliable hoyer lift (sometimes called “portable lifts”) can be an invaluable aide for today’s caregiver. The lifts we supply through the industry leader, Prism Medical, are made to the highest of standards to allow for everyday/all day use, for years and years. Easy to operate, easy to maneuver and loaded with safety features, the Prism Medical lifts are among the best on the market today.